We are lucky to have another Port Royal in our collection. 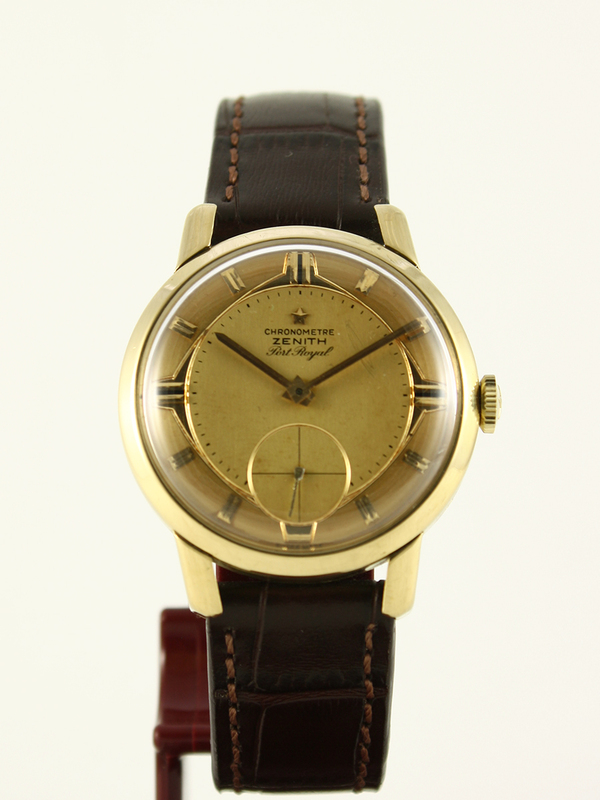 This extremely rare watch has a solid 18ct. golden case. The strap is sunken beneath the lugs. It was made in a very small batch. Dial and movement are both signed chronometer. The dial contains golden elements and even the hands are made of gold. 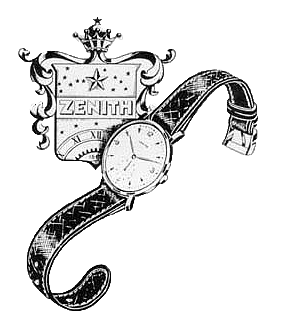 It comes with original ZENITH star crown. 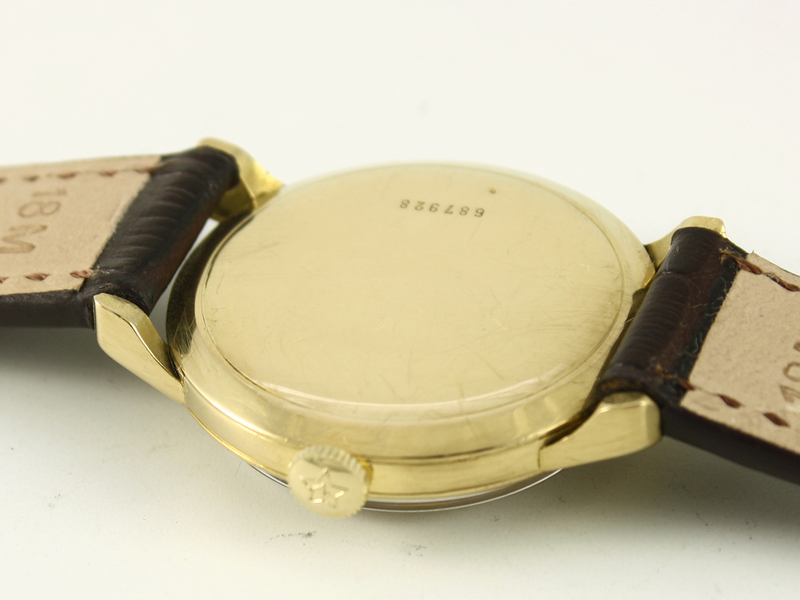 Caliber 135 is known among collectors as the best manual winded movement ever made. ZENITH constructor Eprhem Jobin recently celebrated his 100th birthday. 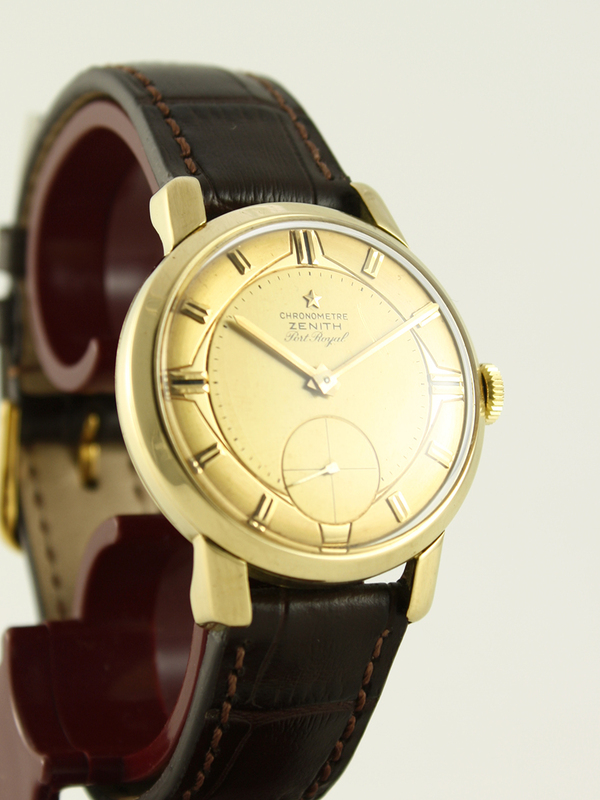 This beautiful watch is completely serviced by one of our professional watchmakers and runs perfectly. 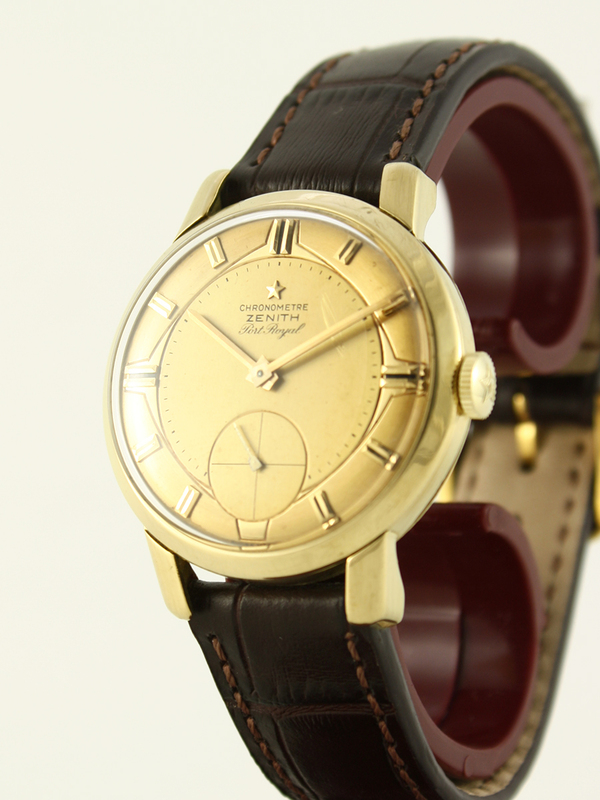 Chronometer Yes Case Material Gold 18ct.